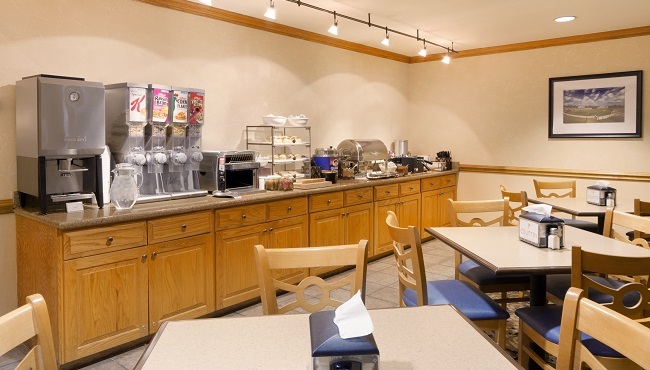 Start your day on the right foot with a fluffy Belgian waffle, meats, fresh fruit, a bagel and more at the free, hot breakfast, a daily feature at the Country Inn & Suites, Burlington (Elon), NC. A rotating selection ensures you something fresh and different to try each day in our comfortable dining room. When it’s time to grab lunch or dinner, you can find a variety of local restaurants like Village Grill and Prego's Trattoria within two miles of our location.